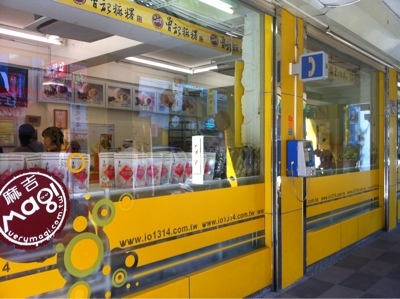 There are a number of mochi specialty shops in Hualien, and this was the one our minsu owner recommended. The outlet along Jung Hua Road (across 7-11), with long benches outside, also became the landmark where we would wait for the minsu owner to drive us back to the minsu after our nightly trips to the town centre for dinner. 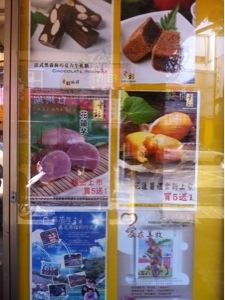 This mochi shop sells the famous sweet potato (tu gua) confection. As for mochi, you can either buy loose pieces which are freshly made for less than 50cents apiece, or in nice packages. The fresh ones were good and come in various flavour - yam, peanut, sesame, green tea.